bauma China is the international trade fair for construction machinery, building material machines, mining machines and construction vehicles. It has provided participants with good opportunities for industry communication and exploring product innovations, market trends and possible solutions. bauma China 2016 attracted more than 170,000 visitors from 149 countries and regions, once again underlines its leading role in Asia. Luoyang Dahua Heavy Industry Science & Technology Co., Ltd. is a high-tech enterprise that specialized in mining equipment developing, production and manufacture, aggregates production line design, automatic control system scheme design, civil work design, modular components design and installation, as well as the overall system management and operation. 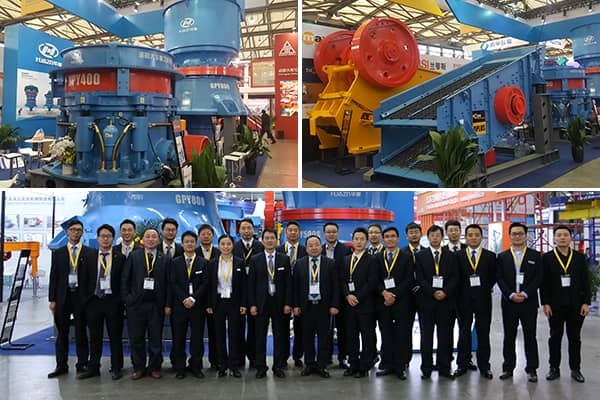 Our company will provide the most complete solution, high quality crushing equipment and professional service in the fields of mining crushing, construction field, solid waste and coal chemical industry.